Is Solar Power In Boise Even Viable? When we first started selling solar power in Boise Idaho we got the same questions over and over. Is there even enough sun to be able to power a home here? You’d be surprised to find out that most cities in Idaho get plenty of peak sunlight hours. This enables most homes in Boise to access enough sunlight to power a solar energy system. You would be surprised to learn that solar power systems can work a lot better in environments that don’t get a lot of sunlight. To much sun can even be detrimental and cause the system to produce less energy! Since homes in Boise get right around what they need to be able to function properly this makes solar a great option! How Does Boise Solar Power Install Work? By now you know that we sell solar energy panels and systems. So would it surprise you if we told you that not every home in Idaho is fit to handle solar panels? We could make up a lot of things to try and sell you into buying our services. For the Most part, Boise homes won’t have a problem getting enough sunlight to power your homes. In some cases, though due to shading from trees, roof angles or tall buildings it can make access to solar very challenging. We guarantee the production of our solar power systems and will never sell a system that won't work. It's our promise to be truthful to you at all times! We have talked about this concept briefly and would like to elaborate on it a bit more on it. Peak sunlight hours are not necessarily the number of hours in a day that the sun is shining brightly. Peak hours are when a solar panel can produce the necessary watts of photovoltaic power per square meter to operate efficiently. Basically, it is a unit of measurement that helps determine if an area will be suitable for a solar powered system or not. Most parts in the state of Idaho get around 5 to 5.5 peak sunlight hours per day on average. Although this is not an exact science it is widely accepted that it takes an average of 4 peak sunlight hours a day for a system to work properly. So as you can see, for the most part, people in Boise can confidently install solar panel systems. Idaho is also a state that has a pretty average electricity rate. Even taking this into consideration solar power in Boise still saves the average homeowner money every month even when financed at $0 down! It is not to brag or anything, but we believe that our services can bring the best of both worlds to the table. Typically large solar panel manufacturers will not give out the best prices. That is because they believe the difference in the quality of their products is enough to keep large investors in their pocket. 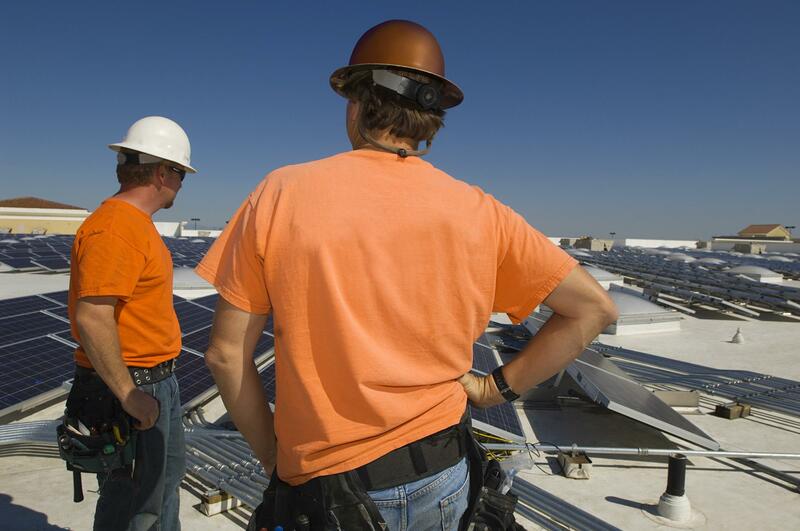 With us, we provide the same prices for solar power in Boise that the larger companies offer. But, we offer it to smaller companies and even homeowners so they can take advantage of these savings! We do it all without charging an arm and a leg.